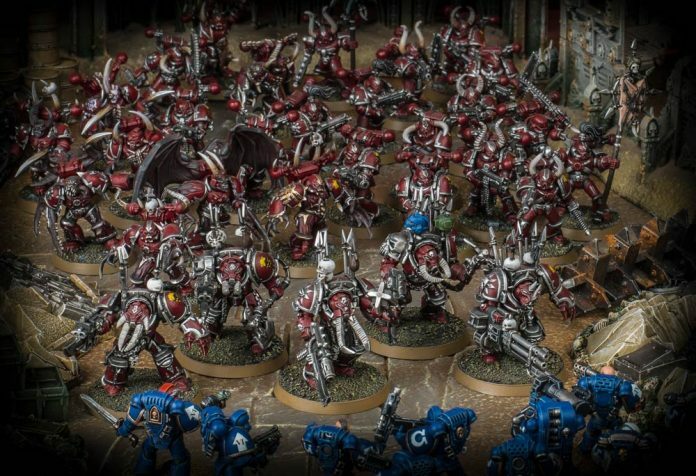 Hello ladies and gentlemen, Nick Nanavati here again to talk about a topic very rarely discussed but very important to competitive 40k. When you should choose to go second in competitive 40k. More and more often I find myself choosing to go second when given the opportunity. Going second is often perceived as less advantageous because it allows your opponent to shoot first, buff up with psychic powers, and establish board control. And while that’s all well and good, there are still a lot of benefits to going second, which can often outweigh all the reasons to go first. I’m here today to set the record straight about that, and show you when and why you should seriously consider choosing second in competitive 40k. The largest benefit when choosing second turn is being able to have the last say on objectives. In the ETC format with victory points awarded to holding objectives at the end of the game this means you have perfect knowledge on the final player turn with which to move your models, take your shots, and claim objectives. You already know where your opponent is and there’s mostly nothing he can do to change that. Similarly, in the ITC format you know exactly how many objectives you need to hold and how many units you need to kill to receive the bonus points calculated at the end of the battle round for holding more objectives and killing more units than your opponent. Needless to say, having perfect knowledge about how many resources you expend to capture objectives and kill units is prettttty gooood. Another hidden benefit to going second is that your reserves will have thee opportunity to arrive after your opponents. Note, this isn’t purely a good thing because there are also merits to bringing your reserves in before your opponent, but this is an article about why choosing second is worth it… duh. So, why would you want to bring your reserves in later? Well assuming you can maintain effective screening units to keep your valuable units safe, or you hide them in reserve altogether, it means they will get to come in after your opponent has dropped his load. In essence, your opponent’s heavy hitters will be wasted trying to get past your screens while your heavy hitters will then freely come in and alpha strike his heavy hitters. This tactic is more army specific than going second and simply reaping the benefits of having last say on objectives with perfect knowledge, but if you have an army that cares to take advantage of it then it’s a very powerful tool. Now that I’ve covered some of the main benefits to go second, I want to go over some key indicators to look out for about when choosing second turn. If your opponent has minimal meaningful long range shooting or you’re set up very defensively. 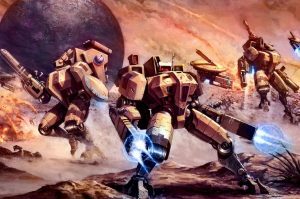 If your opponent isn’t going to deal a crippling blow to you turn 1 because his army is either not set up to deliver a meaningful alpha strike, or if you’re hiding everything vulnerable behind terrain and such it is likely in your best interest to choose second. Doing so will net you all the same advantages as noted above, and you won’t have to run the risk of losing a significant portion of your army turn 1. 2. If you don’t have a significant alpha strike. Similarly to the above scenario, but from the other end of the spectrum. If you aren’t set up to deal meaningful damage turn 1 then what benefit do you incur from going first? You may want your deep strikers to come in first, or you may want to cast psychic powers to buff up. But, more likely than not is actually a better move in this situation to opt for second turn. There is no hard rule about whether or not you should choose first turn or second turn. It is almost often a decision made when you get to the table and you see the deployments of both players. 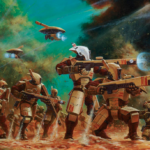 Sometimes I design armies that I know will want to go first (Ynari) and ones that want to go second (Space Marines), but I also go through great pains to ensure that if I end up going first when I wanted to go second or vice versa I have options to recover. 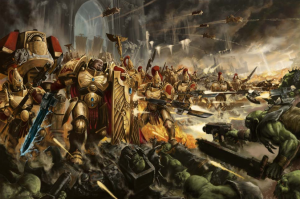 Recognizing the ideal turn order for you, and designing armies to properly maximize their effectiveness either way is a difficult skill to learn, but one I can help you over in my personal coaching program Nights PRO.